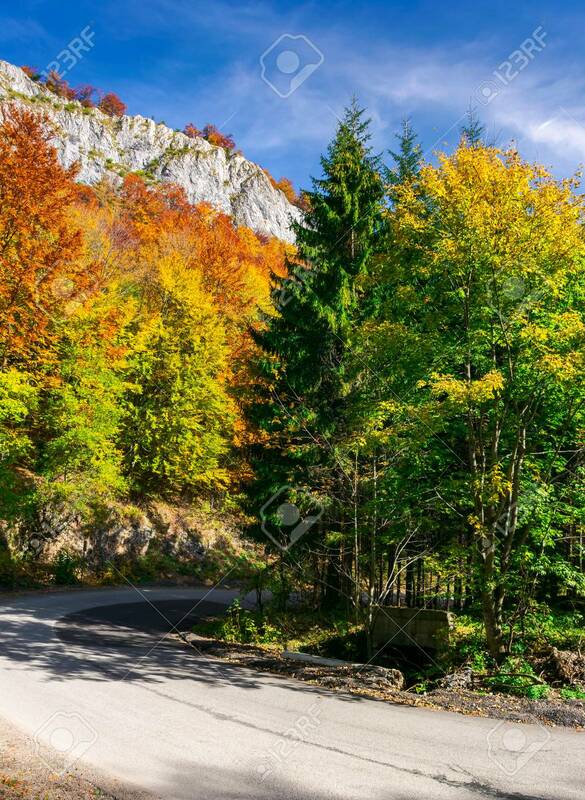 Country Road Through Forest In Autumn. High Cliff On Top Of A.. Stock Photo, Picture And Royalty Free Image. Image 107011631.